When moving into our new chemistry building, my graduate student uncovered a relic made in the 1930’s. 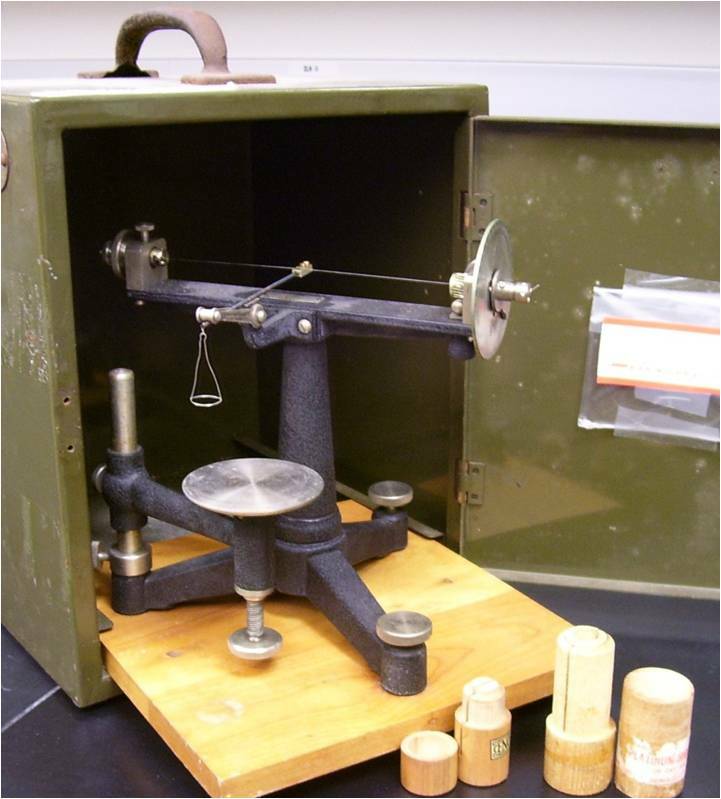 It was a cast-iron Du Nuoy ring tensiometer, but we didn’t know that. We guessed that it had something to do with surface tension, and he did a literature search. Up popped a 1930’s paper by Harkins and Jordan on the ring method for determining surface tension.